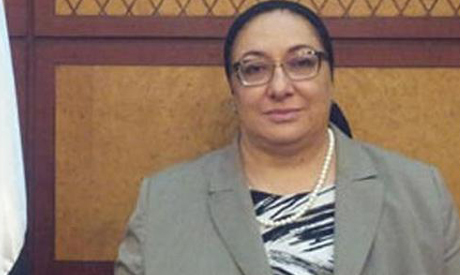 Egyptian Health Minister Maha Rabat on Monday issued an order banning strikes in public hospitals. A memorandum issued by the minister's office banned any action that would lead to partial or complete strikes in hospitals, with instructions to take legal actions against whoever calls for such actions. Dr. Ihab Taher, the general secretary of the Doctors Syndicate, criticised the minister’s decision. "We were expecting the new government to try to solve the problems of the healthcare sector in Egypt and not to try to ban the doctors from demanding their rights," Taher told Ahram’s Arabic website, adding that the decision would not stop doctors from reclaiming their rights through legal methods. "The first decision by the new minister is actually to suppress freedoms in the health sector, standing against the anger of the doctors and claiming that her decision is to protect the sick - although she has not take any decision to improve the healthcare of the sick," said Dr. Amr El-Shura, a the member of the Doctors Without Rights pressure group. "If she really cares for the sick, then she has to increase the healthcare budget and to provide free healthcare, medicine and medical supplies, as well medical appliances," El-Shura said. From October to December of last year, Egyptian doctors held a nationwide general strike in public hospitals, demanding better working conditions for doctors and increased state budgets for healthcare.